Our Muslim friends invited us to join them for their break fast meal one night. We were early, so before joining them for dinner, took a stroll in Kampong Glam with my hubby. We first walked through Haji Lane and found many changes. Some of the shops which I used to patronise were gone. There were more eateries. The colourful rainbow cakes in a display shelf whetted my appetite and I really looked forward to our dinner. 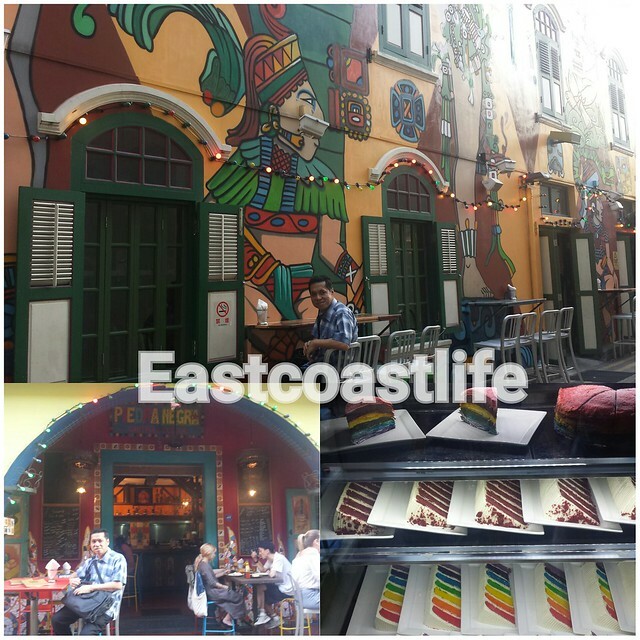 We noticed there were more foreign visitors and Asians dining in the hip eateries in Haji Lane. We visited the Ramadan street bazaar, which will be available until the first week of July, in front of Masjid Sultan mosque. 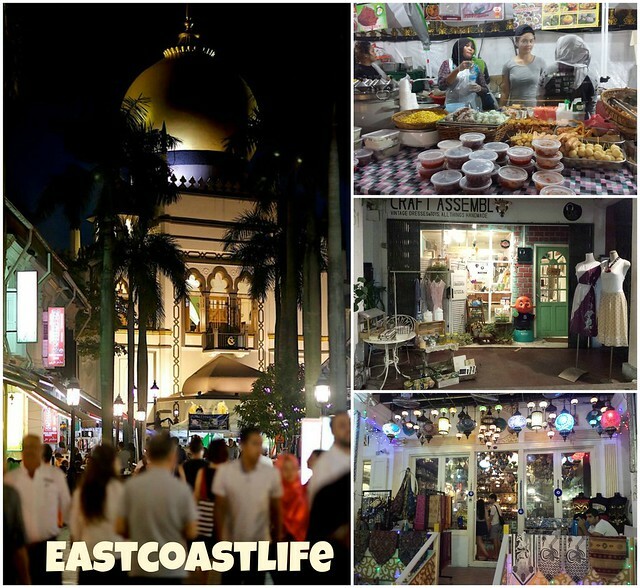 I like to visit the annual Kampong Glam Ramadan street bazaar for the traditional Malay food. 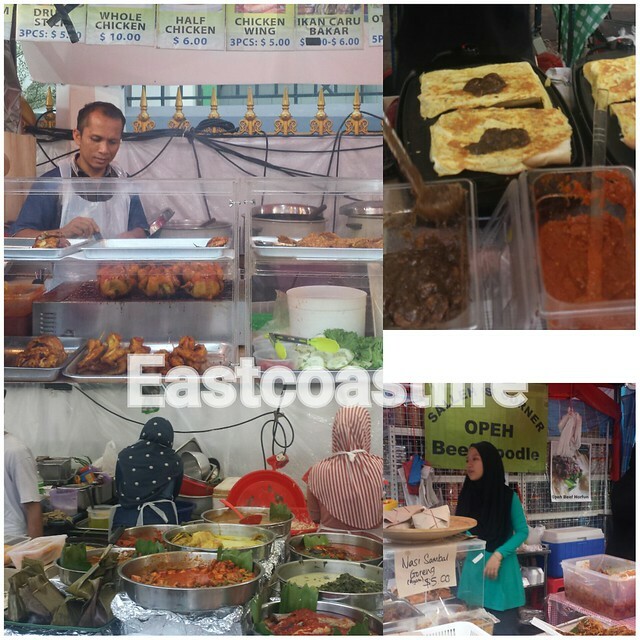 There are some traditional Malay food that is available only during Ramadan bazaars. We were looking for a bee hoon bryani, but it wasn't available. There were the usual traditional cakes, snacks and spicy Malay dishes sold at the stalls. This year it seems that there are lesser food stalls and not much exciting discoveries as in the bazaar in Geylang Serai. I presume more people are visiting Geylang Serai Ramadan street bazaar. After our dinner, I bought some traditional Malay cakes and snacks.